Mobility for Mars: the RS-25 gets some practice. 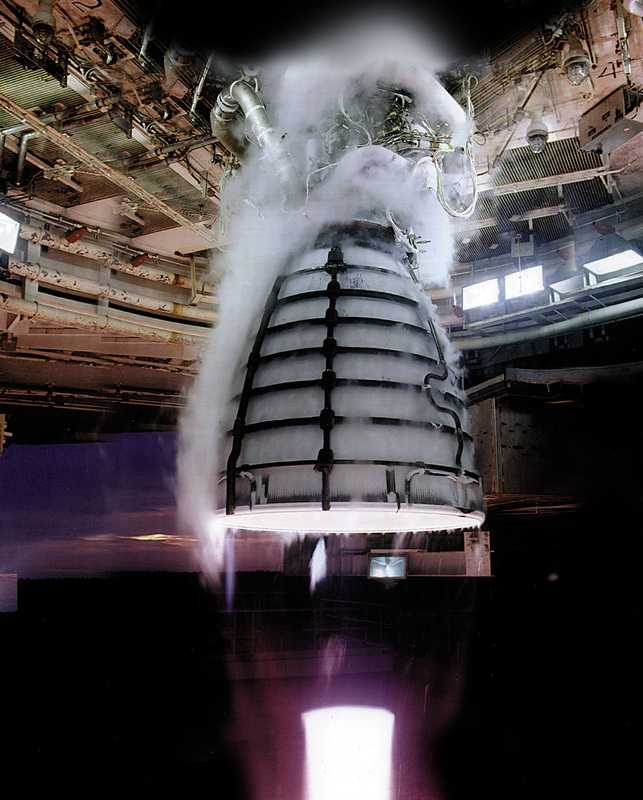 The twelve-million-horsepower Aerojet Rocketdyne RS-25 rocket engine was tested last Thursday at the Stennis Spaceflight Center in Mississippi, a NASA report confirmed. The engine, according to Space Launch Systems spokesman Martin Burkey, "makes a modern race car or jet engine look like a wind-up toy." The RS-25 burned for nine minutes, with its four core engines consuming the equivalent of nine swimming pools' worth of fuel. Power to peruse a new planet: the RS-25 successfully soups up a classic Space Shuttle engine design. The engine, while requiring minimal weight for optimum speed, must also endure the extreme temperatures inherent to the rigors of spaceflight. The void of space could find the engine dealing with temperatures of -400 degrees Fahrenheit, while the combustion during launch could put the heat at well over 6,000 degrees. 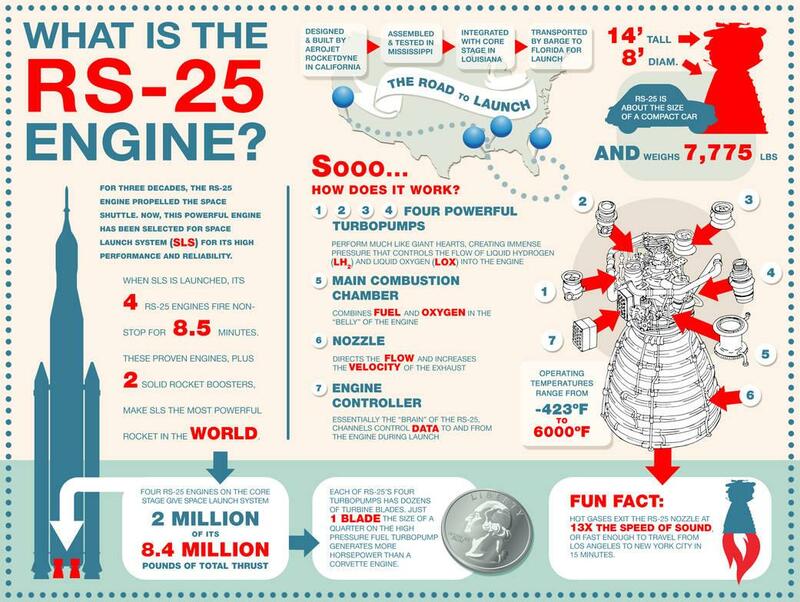 "The bottom line is that the RS-25 produces 512,000 pounds of thrust. That’s more than 12 million horsepower. That’s enough to push 10 giant aircraft carriers around the ocean at nearly 25 mph," Burkey explained. This is what it looks like when it's just pushing air at Stennis. The RS-25 has currently completed six of seven live-fire tests, and will be next tested in full force, with four of the RS-25s firing in tandem. When combined with two solid-fuel boosters and a fuel tank, the entire craft is known as the Space Launch System, and along with an Orion space capsule, it could be our ticket to pioneering towards a new planet. Fire it up! The continued tests of RS-25 have been a spectacular success.